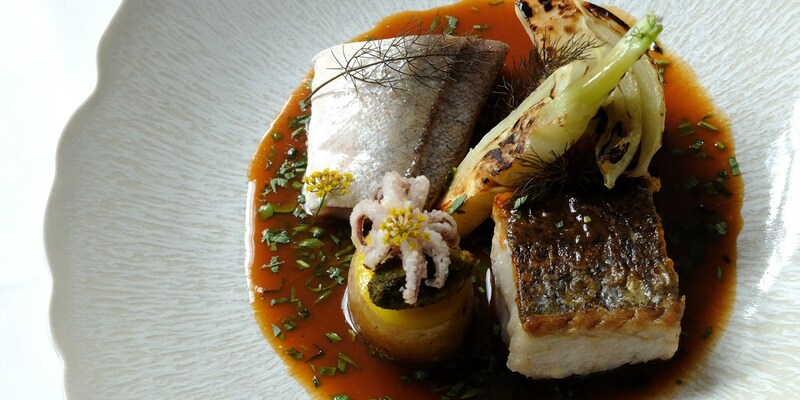 Cooking hake on the bone improves both the texture and flavour of the flesh. Steaks of hake can be purchased from the fishmonger and are best cooked by pan-frying. Cooking hake on the bone can take slightly longer as the bone reduces the internal temperature slightly, yet the bone ensures the flesh stays moist - the cut also shrinks less than a fillet will during cooking as the moisture is retained. Heat a frying pan with a dash of olive oil. Season the hake with salt. When the pan is hot, add the hake and cook for 3 minutes on each side, or until cooked through.You can test this by inserting a metal skewer into the thickest part. It should go straight through and be warm to the touch.